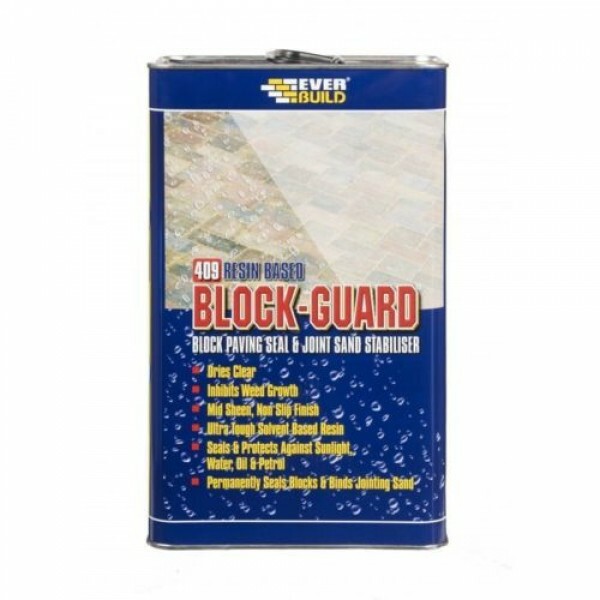 EVERBUILD BLOCKGUARD is a block paving seal and joint stabiliser based on a clear solvent based acrylic formula. BLOCKGUARD is designed to form a durable seal over block paving and other mineral paving/flags. BLOCKGUARD penetrates deeply into blocks and sand then cures by solvent evaporation to give a long lasting seal which is resistant to sunlight, water, oil and petrol. Jointing sand should comply with BS6717 and BS6677 or national equivalent. Ensure the paving surfaces to be treated are clean and free from any mould or fungal growth. If oil stains are present, remove with detergent and hot water. Ensure cement composite pavers are thoroughly degreased and free from release agents which will affect penetration. If mould and fungal growth are present, clean surfaces with EVERBUILD MOSS AND MOULD REMOVER as directed. All artificial stone (cement based) and all block pavers must be left for three months minimum after placing before over coating with this product. This will allow salts to leach out which otherwise may cause unsightly white patches appearing beneath the sealer, especially when the patio is wet. Application to a wet or water saturated surface will give poor adhesion. In very dry and hot conditions, increase humidity by sprinkling surface with water, then leave pavers to dry. This will leave sufficient moisture for polymerisation to take place. NOTE: DO NOT APPLY BELOW +5˚C. Apply BLOCK PAVING SEAL direct from the container using a watering can and long pile roller. Work well into joints for maximum penetration. DO NOT LEAVE SURPLUS MATERIAL ON THE SURFACE. Ensure an even and thorough coverage, especially on textured flags/pavers where “ponding” of the product must be avoided. An uneven coating will give a blotchy/white appearance to areas where excess product has been allowed to settle and dry. These areas will look worse in wet conditions. Once finished, do not re-seal or store a partially used container. The quality will rapidly deteriorate and carbon dioxide may be released which could cause container rupture. Leave part used kegs open and add a little water to cure the product for disposal. EVERBUILD BLOCK PAVING SEAL will only work where it can penetrate into the surface. Do not apply to non-porous surfaces. Do not apply this product to painted surfaces or surfaces that have previously been treated with stearate or silicone based water seals e.g. EVERBUILD WATERSEAL. Some surfaces, especially certain natural stones may darken slightly when treated. ALWAYS TEST A SMALL AREA FOR COMPATIBILITY PRIOR TO FULL APPLICATION. Product is slip resistant when dry. Obviously, water will affect this property adversely. Do not apply this product if rain is imminent (within 5 hours at 20˚C). 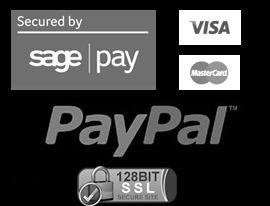 BLOCKGUARD can be trafficked after 12-24 hours depending on ambient temperature. Clean all tools with turps or white spirit. Store in cool, dry conditions between + 5 and + 25°C PROTECT FROM FROST AND SOURCES OF IGNITION. Storage outside these parameters will dramatically reduce shelf life. Do not re-seal part used containers. 24 months from date of manufacture in original unopened containers.